October 10th, 2018 – According to a new Denver Post article, Colorado’s hospitals have been building out so much capacity, that they’re expected to have a lot of unused capacity. While it is no surprise that there will be more empty beds, it is surprising to read that Colorado hospitals profits are nearly double the national median. The article said that hospital prices increased 76% over the last seven years, as Colorado hospitals built more aggressively than almost anywhere in the country. Most hospitals in Colorado are non-profits, but administrative costs have doubled over the same time frame. The extra capacity results in a sort of an “arms race” as hospitals duplicate services and increase prices to pay for them. Hospitals in Colorado charge 33% more than the national average, in part due to high administrative and capital costs. The high costs for care charged by Colorado hospitals are helping to drive up the costs of health insurance, both for people who buy their own coverage and for those who get health insurance through their employer. 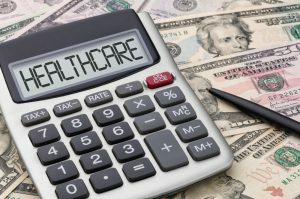 Hospital trade groups respond that much of the increasing prices were due to the expansion of Medicaid (now known has Health First Colorado) in 2013. However, that does not account for the high net profits. Profit margins for Colorado’s hospitals hover around 10%, whereas the national median for hospital profit margins is 5.9%. HealthOne is a for-profit hospital who led the pack when it generated 35.7% gross profit in 2016. Rural Colorado is not immune from the impact of rising hospital prices. Colorado’s Western region charges 35% more for inpatient surgeries than the averages paid in the metro-Denver area. Costly MRI’s are used 7 times more in the Western part of the state than in the Denver area. Next post: Open Enrollment 2019 Is On!